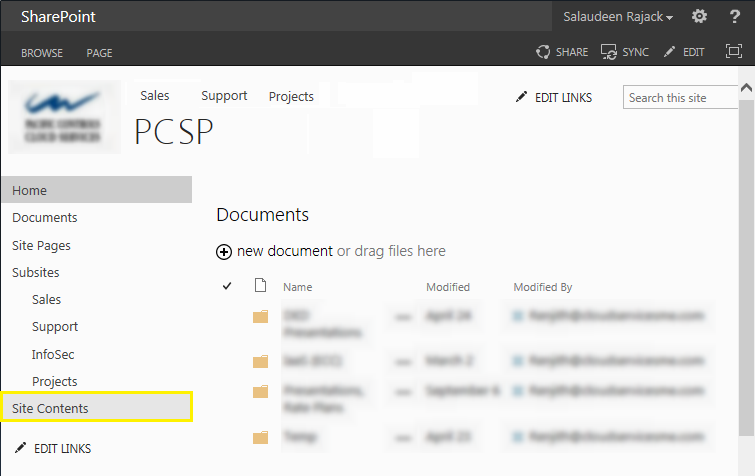 How to hide site contents in SharePoint 2013 quick launch? 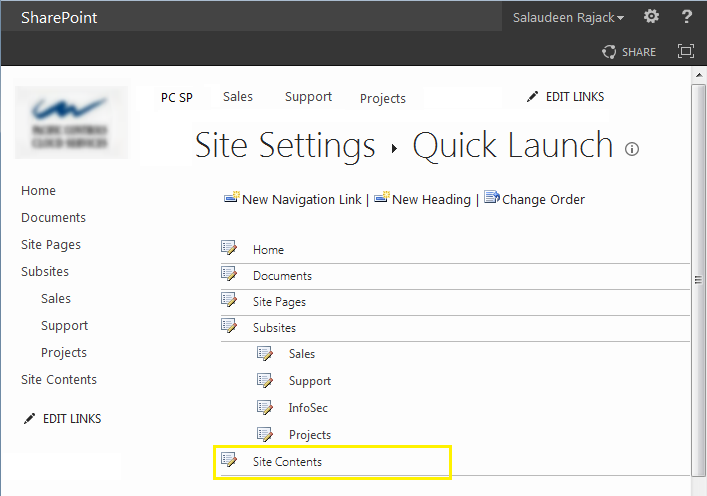 We can use CSS to hide "Site Contents" link from SharePoint 2013 quick launch navigation. 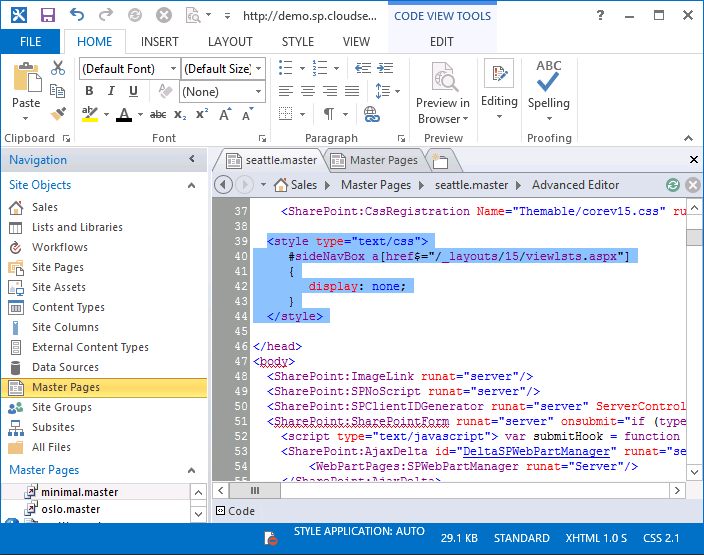 Edit your SharePoint Master page, Insert a "Script Editor" web part and add the below code in it. To remove site content from quick launch of SharePoint 2013 sites, Add this CSS to master page, Or you can have it in Alternate CSS sheet. Save and Publish your master page. If you want to remove "Site Contents" link permanently, You can: Click on "Edit Links" under Quick Launch, edit and remove the "Site Contents" link. Same can be done by: Go To Site Settings >> Quick Launch >> site content >> click on edit icon >> Delete. The above methods works on SharePoint 2016 as well! Related Post: How to Hide View All Site content & Recycle Bin Links in SharePoint 2010/MOSS 2007? Thank you. This worked like a charm!! Thank you! You saved me from a huge headache! This is just what I was after. Couldn't find the publish button though but appears to have worked just saving. LEGEND!